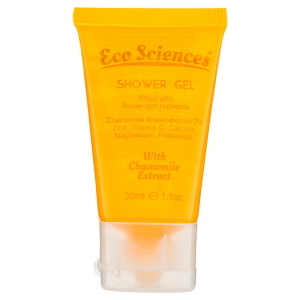 Treat your guests with these modern and fresh range of toiletries and soaps - the Eco Sciences environmentally sensitive guest amenities! 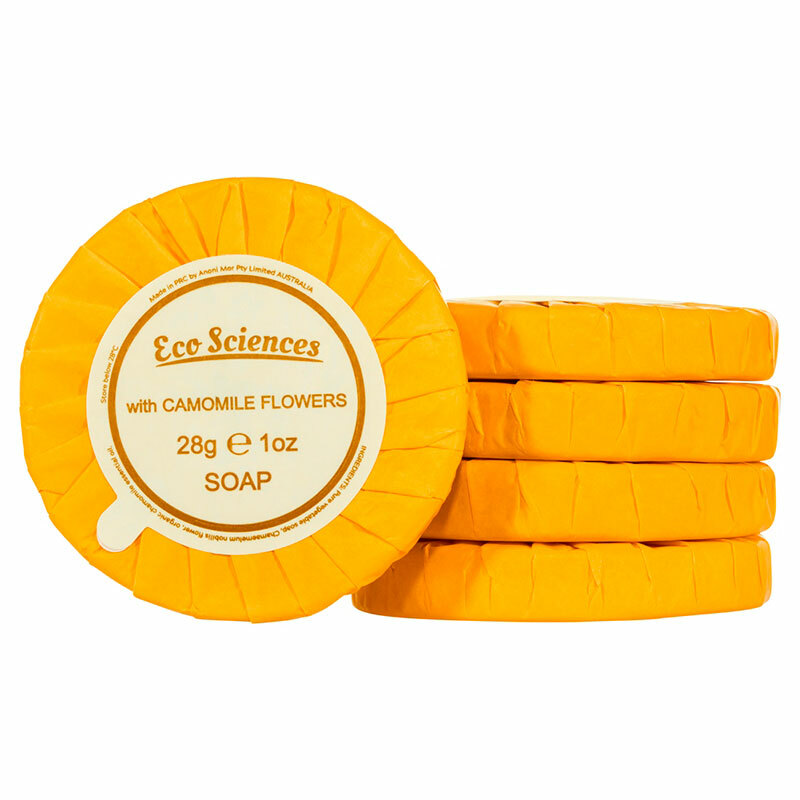 These hotel guest soaps and toiletries are suitable for the eco minded hotel, resort, or spa. With its elegant simplicity and high quality ingredients and chamomile extract combine, these are excellent to pamper your body and delight the senses. 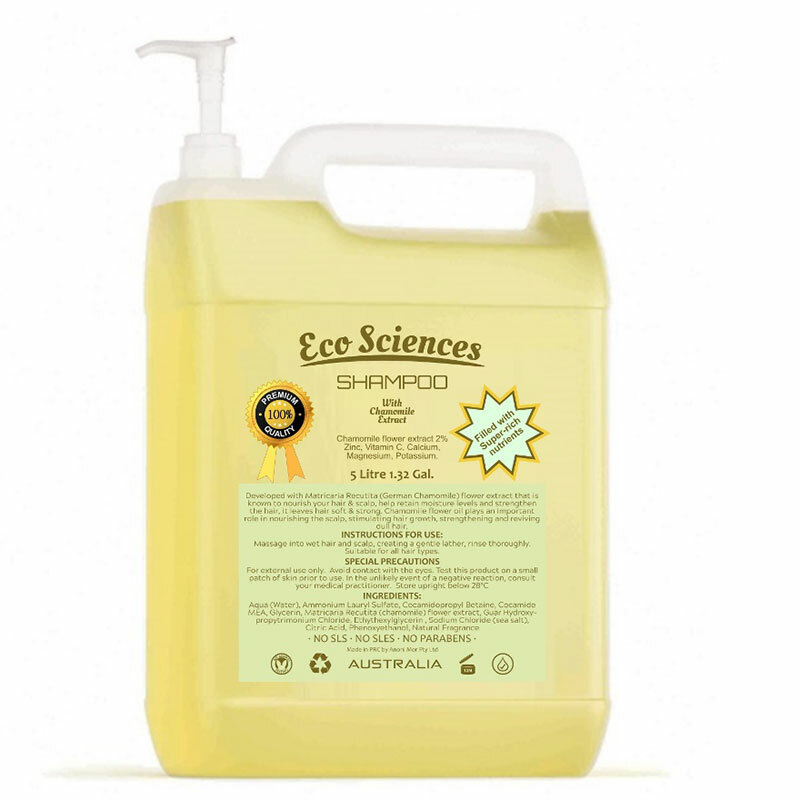 Eco Sciences ® liquid products contain the finest of additives and the soap is produced from a moisturizing vegetable base. A warm and spicy aroma blended with woody, herbal notes of Pine Forest, Eucalyptus, Clove and Cinnamon balanced against the musky notes of Vanilla, Almond, Amber and the refreshing floral top notes of Orange, Jasmine and Peach. The Eco Sciences Collection is Free from Parabens, SLS, SLES and Petroleum. Show your guests that you don't just offer quality service and accommodation but you offer them quality products as well. 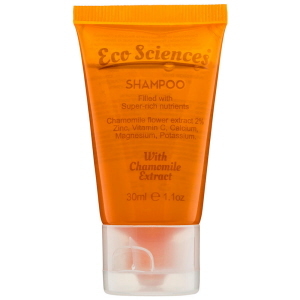 Eco Sciences Shampoo is available in 30ml (Ctn 300). 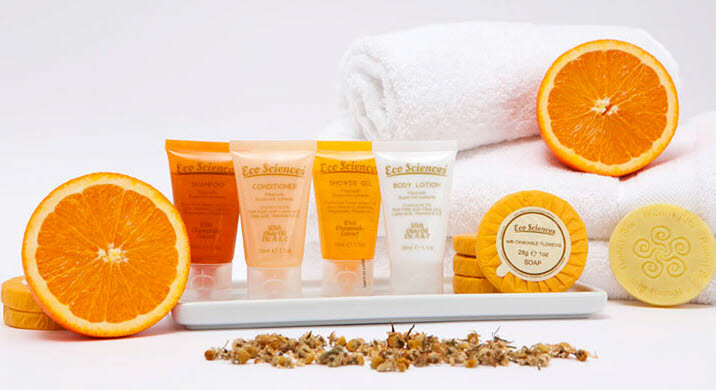 Perfect for the eco minded hotel, resort, spa or bed & breakfast establishment. Impress your guests with Eco Sciences Conditioner, an environment-friendly kind of amenities. Comes in elegant packages, and high quality ingredients and chamomile extract combine to pamper your body and delight the senses. Available in 30ml (Carton 300). 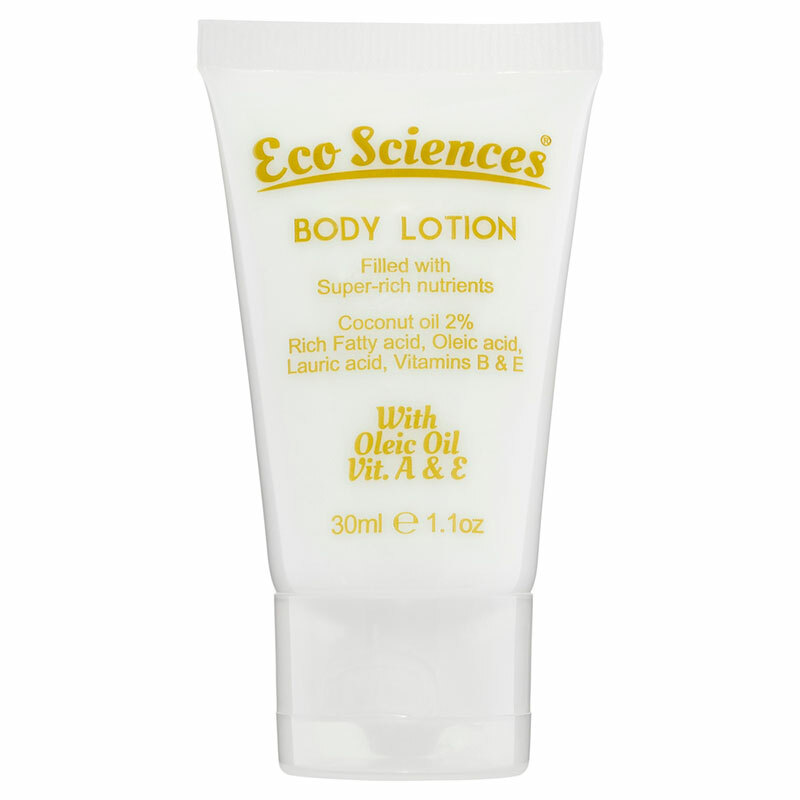 Make it a memorable experience for your guests and they will come back with Eco Sciences bath and body products! 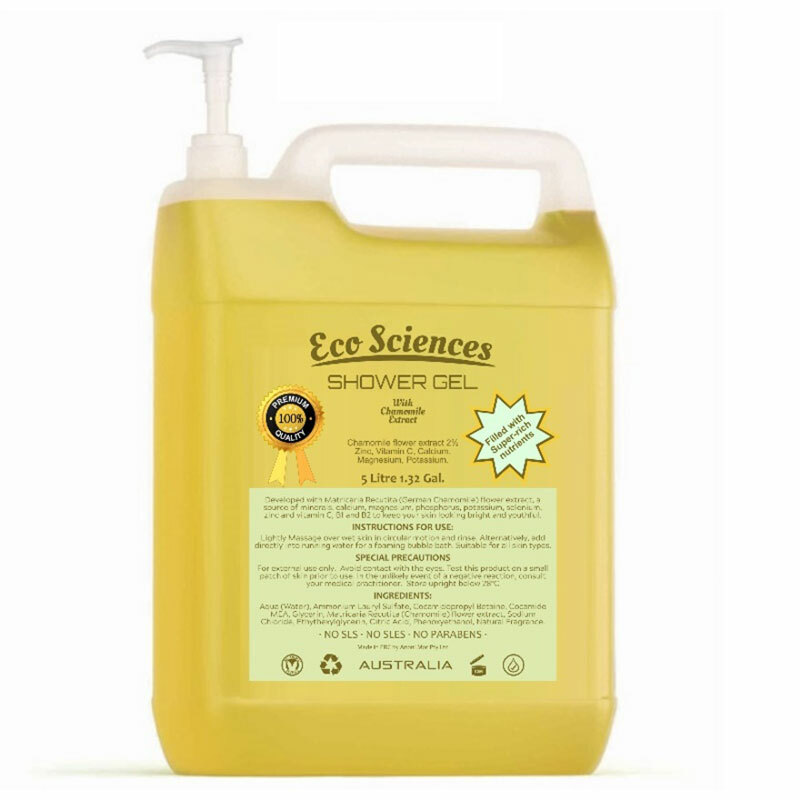 This hand and body wash is perfect for the eco minded hotel, vacation rentals, resort, spa or bed & breakfast establishment as it made from a vegetable base. Available in 30ml. It contains a warm and spicy aroma blended with woody, herbal notes of Pine Forest, Eucalyptus, Clove and Cinnamon balanced against the musky notes of Vanilla, Almond, Amber and the refreshing floral top notes of Orange, Jasmine and Peach. 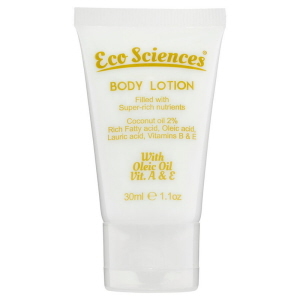 Provide your guests with Eco Sciences Body Lotion to have a moisturized and smooth skin! Produced from a moisturizing vegetable base. It has a warm and spicy aroma blended with woody, herbal notes of Pine Forest, Eucalyptus, Clove and Cinnamon balanced against the musky notes of Vanilla, Almond, Amber and the refreshing floral top notes of Orange, Jasmine and Peach. Let your guests lather up and embrace their body, while cleansing and nourishing their skin from top to toe. 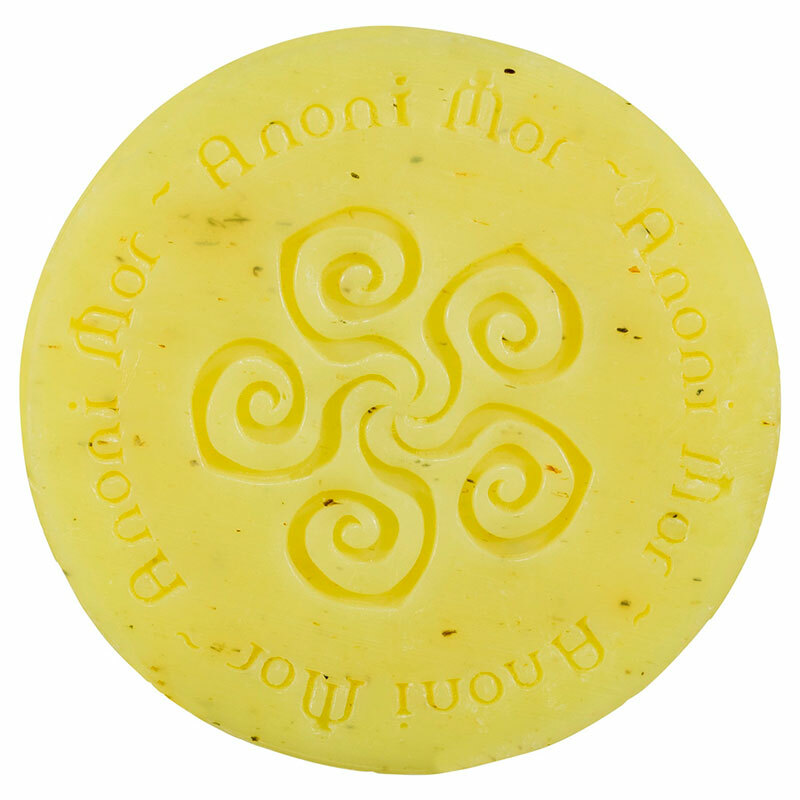 It rinses easily and leaves skin soap-free and silky smooth. Suitable for men and women. 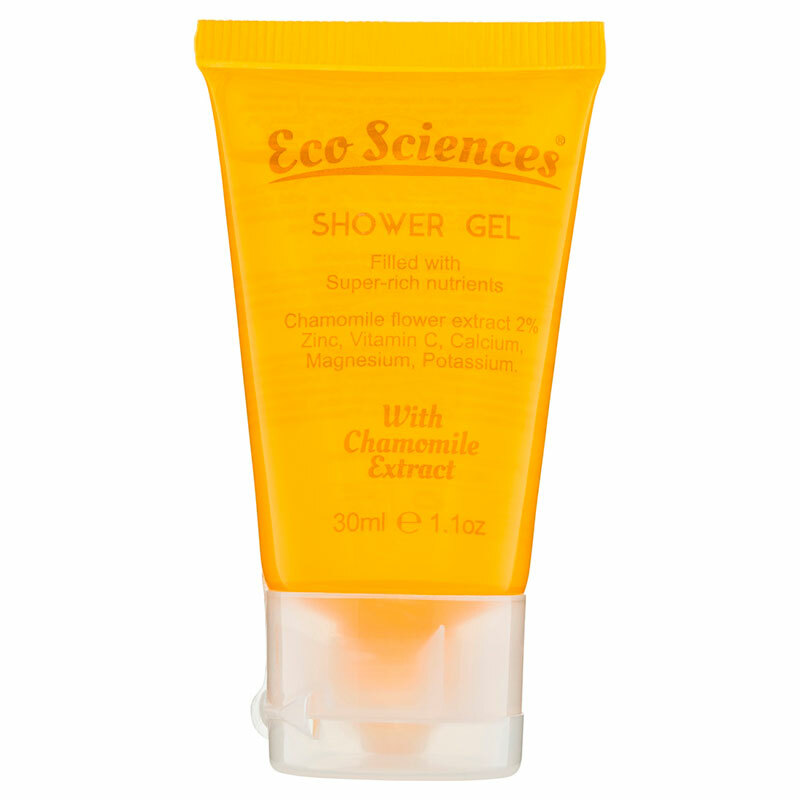 Great for the eco minded hotel, resort, vacation rentals or spa business establishments. Available in 28g (Carton of 300). 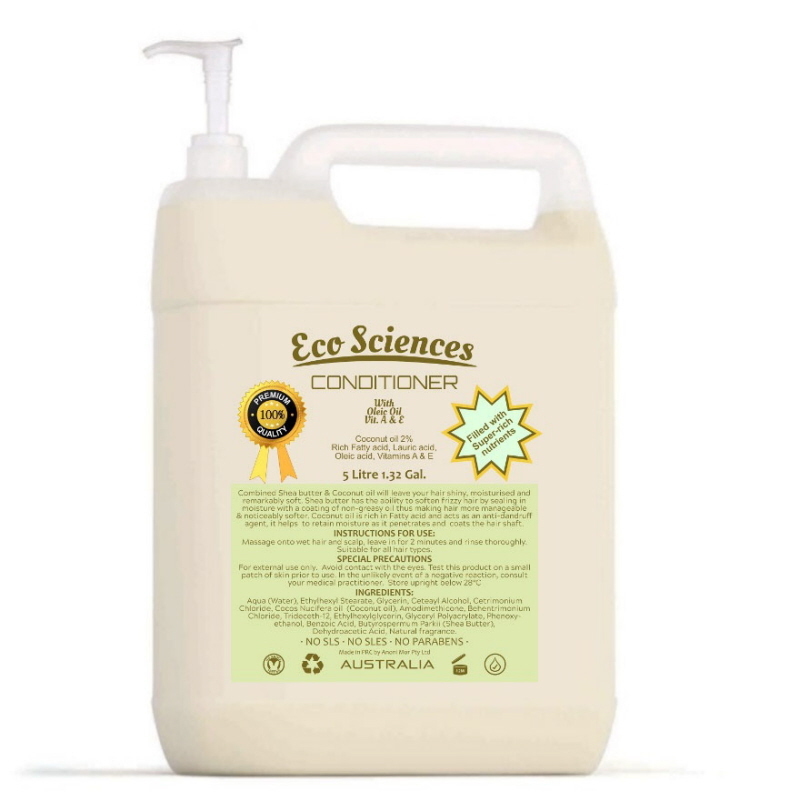 Eco Sciences Bulk Bath and Body Products - Shampoo, Hair Conditioner, Bath & Shower Gel/ Body Wash and Body Lotion is sold in 5L drums, 2 per carton with a hand pump, designed for use in dispensers. The viscosity is corrected for use in dispensers and for refilling purposes. The Eco Friendliness of refillable dispensers cannot be over rated and now you can have a high quality refill option to suit. 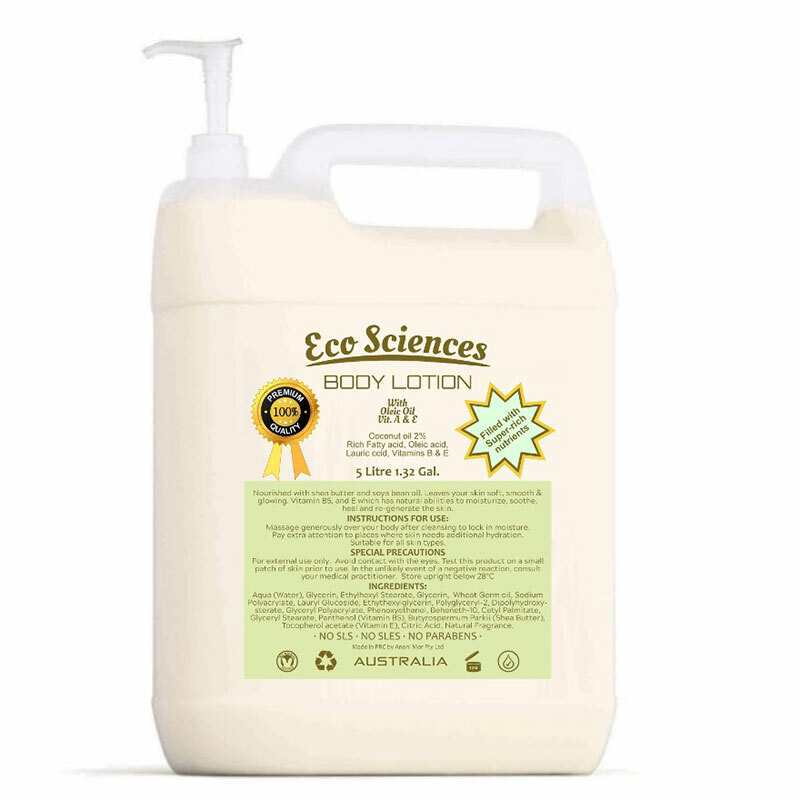 These high quality bath and body products are economical, saving you money, labour, and time. Make it special and impress your guests with a beautiful display of luxurious toiletries with this Eco Sciences Porcelain Bathroom Amenities Tray! You can display all the bathroom essentials on this tray. This is very easy to keep clean. Let your guests notices your thoughtful touches and be inspired to come back. It gives your display a clean look and a beautiful base for your luxury toiletries. 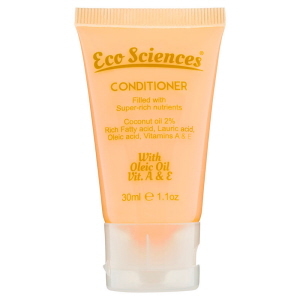 Complete your Eco Sciences bath and body products collection with this tray!